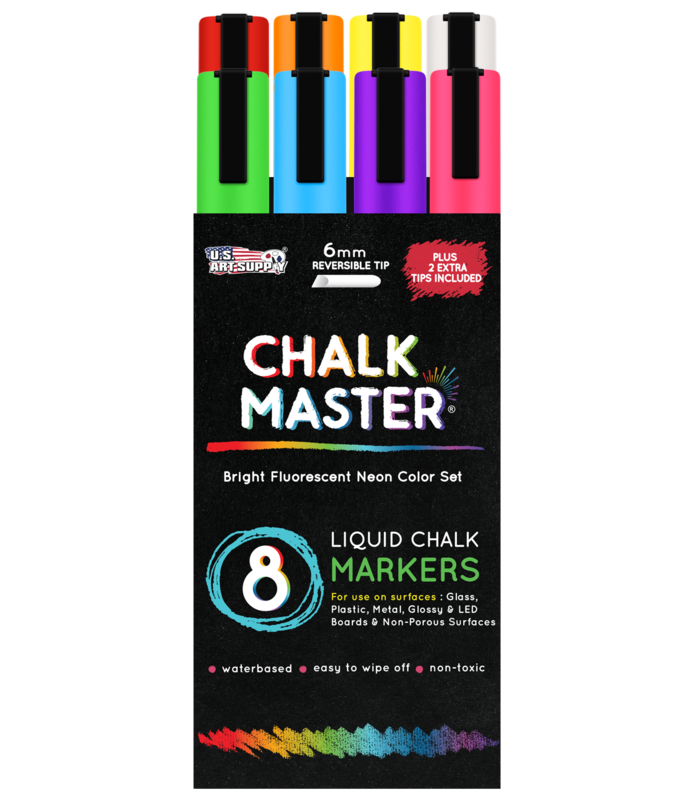 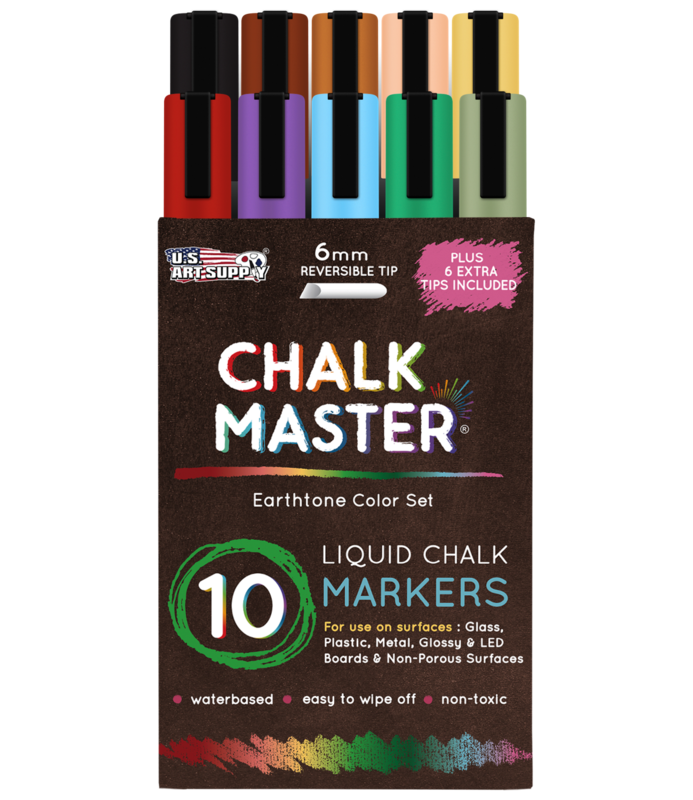 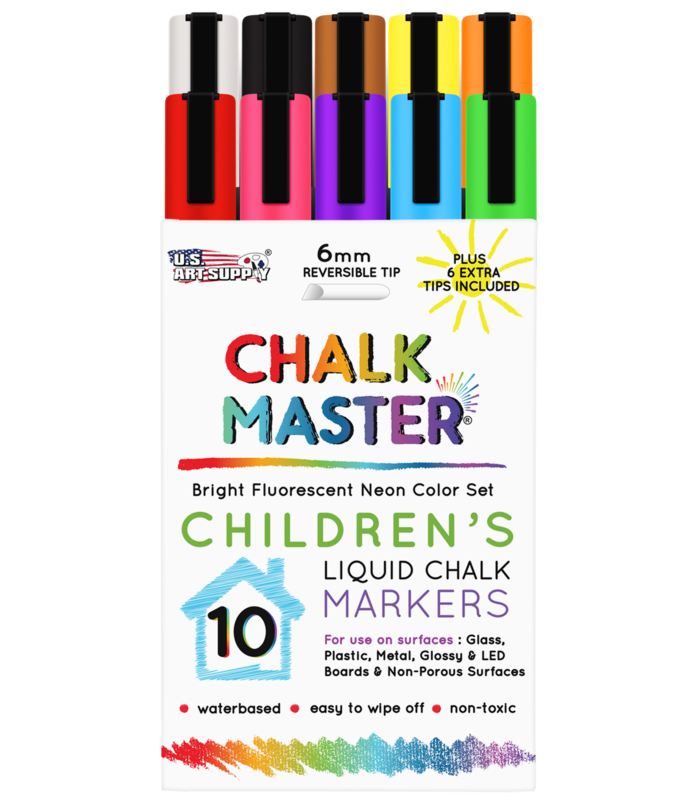 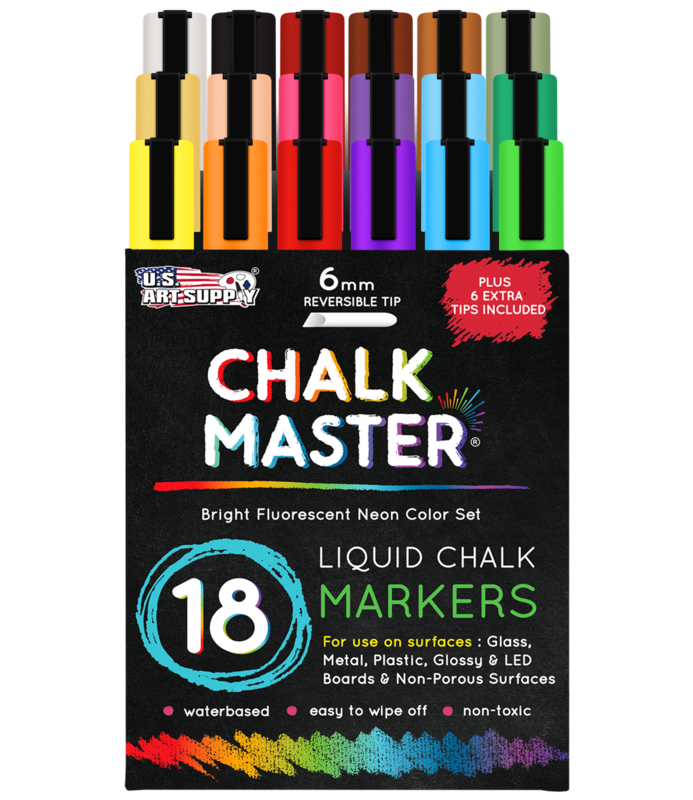 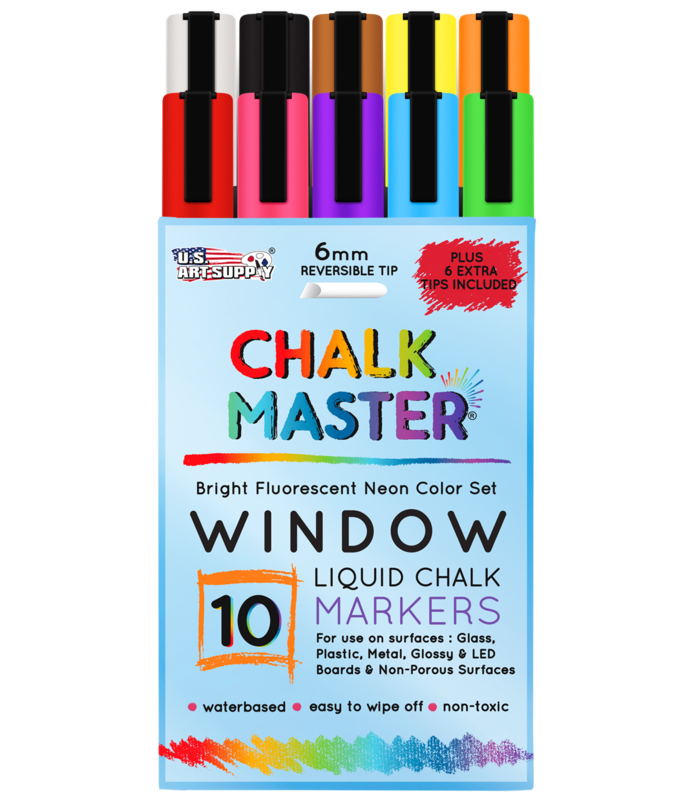 Create bright, vibrant, bold, attention grabbing chalkboard art & messages with these liquid chalk markers! 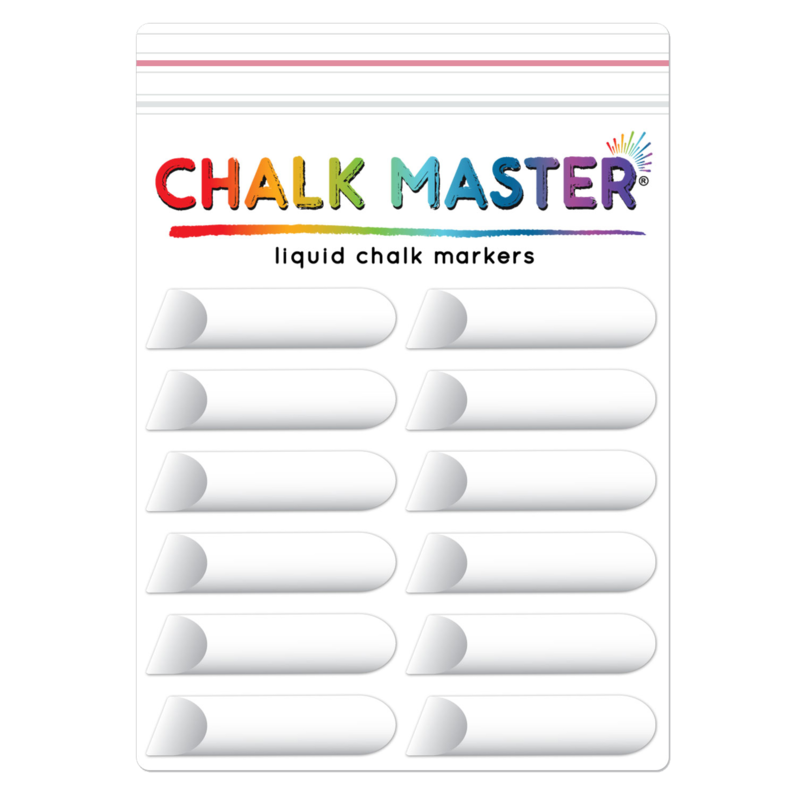 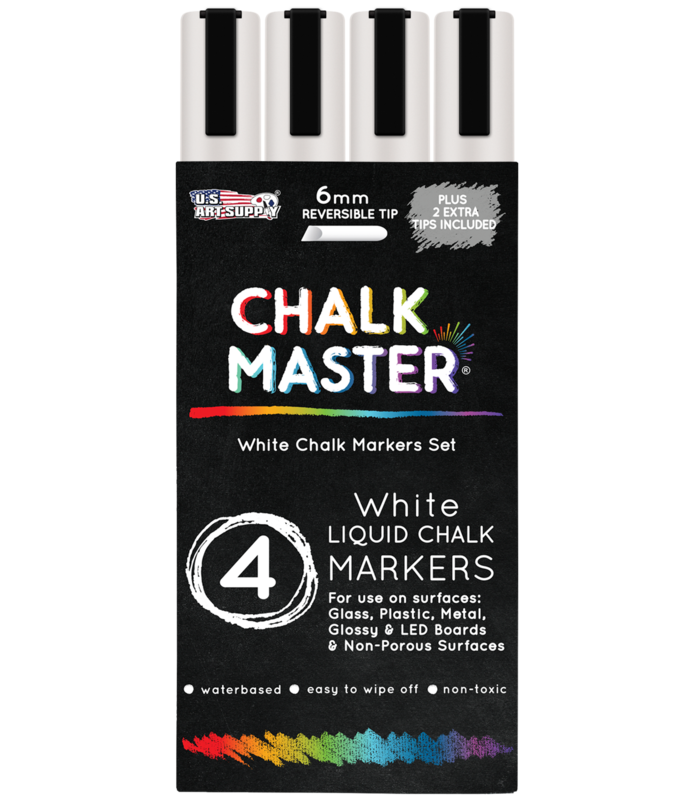 An alternative to traditional chalk, these markers are dust free, water-based and can be easily wiped off by using a damp cloth. 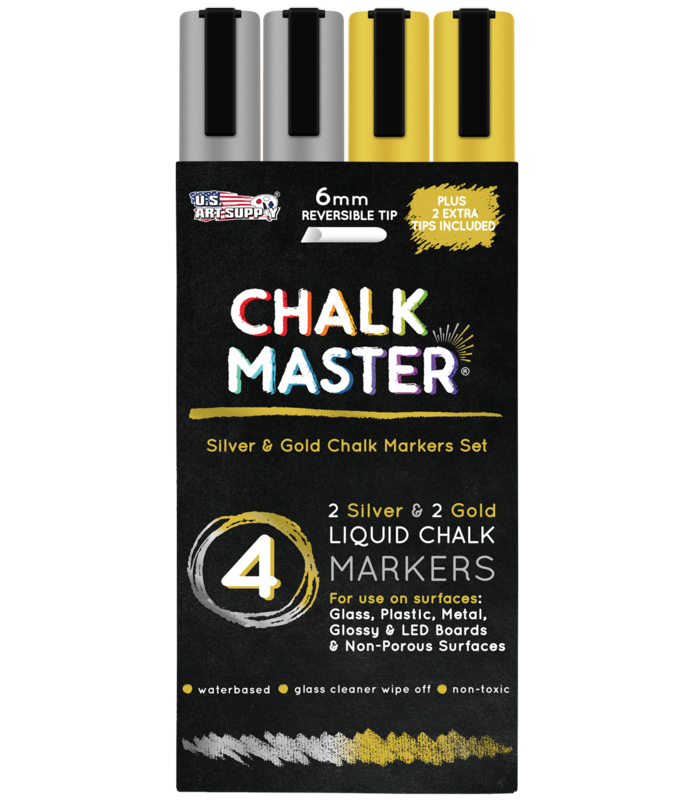 Use it in any non-porous surfaces such as glass, metal, plastic, LED boards and more. 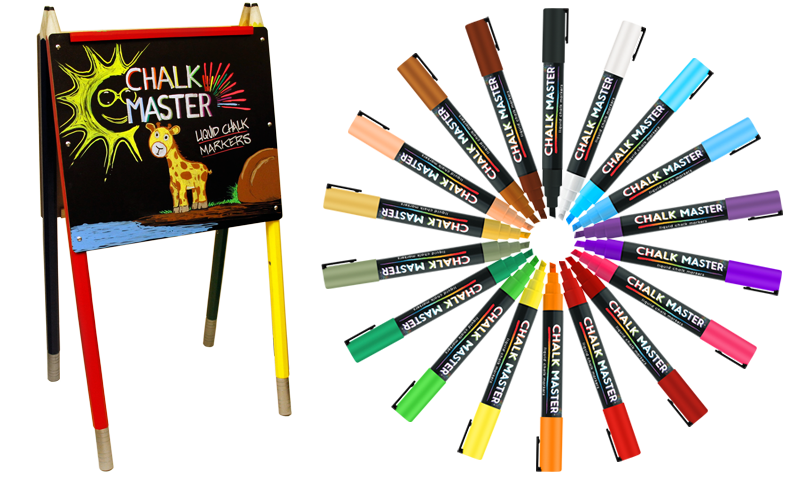 Ideal for any occasion in decorating for parties, restaurant windows, coffee shops, classrooms, weddings and more. 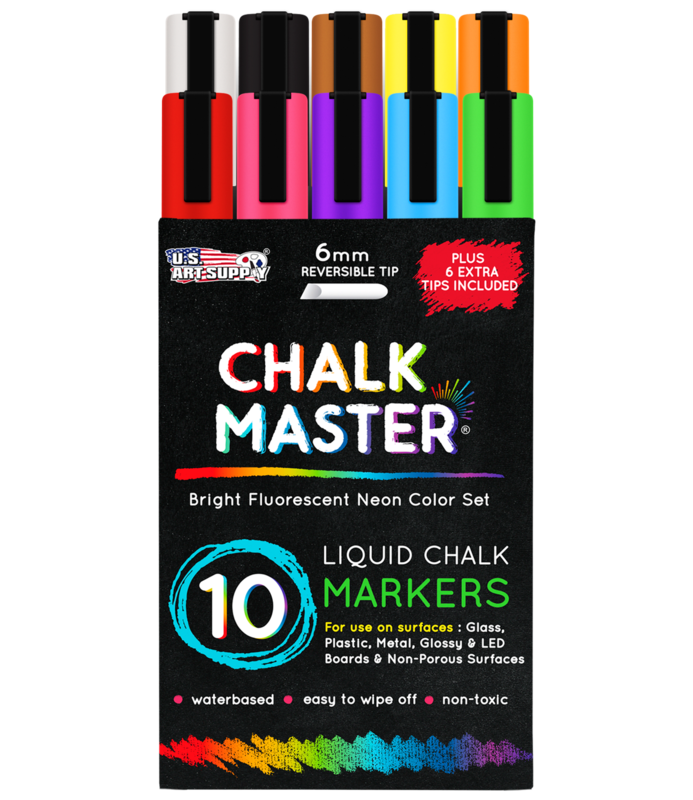 There's no limit to the creative uses you'll find for using chalk markers, as you are the artist and any non-porous item is your canvas!